- Whole Bead Count: 95% min. We offer our clients ion exchange resin having high exchange capacity. We are having both anionic and cationic resins for water treatment plants. These resins are used for various applications like process water, boiler feed water, ultra pure water, cooling water etc. Specialized resins for removal of specific ions from water are also available on demand. 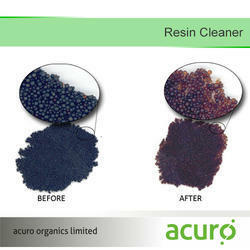 An ion-exchange resin or ion-exchange polymer is a resin or polymer that acts as a medium for ion exchange. Ion Exchange resin is widely used in water treatment plant such as water treatment plant. GSE offers Ion Exchange Resins for Softeners. 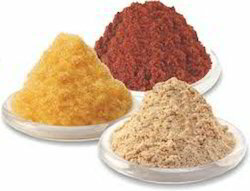 ion exchange softening is considered to be the most effecient way of dealing with problem of hardness. S. R's state of the art fully automatic softeners are available for industrial and domestic applications to inhibit scaling in chillers/ heat exchangers and on membranes.